Go to alumni.clemson.edu and click on Awards” for more information. 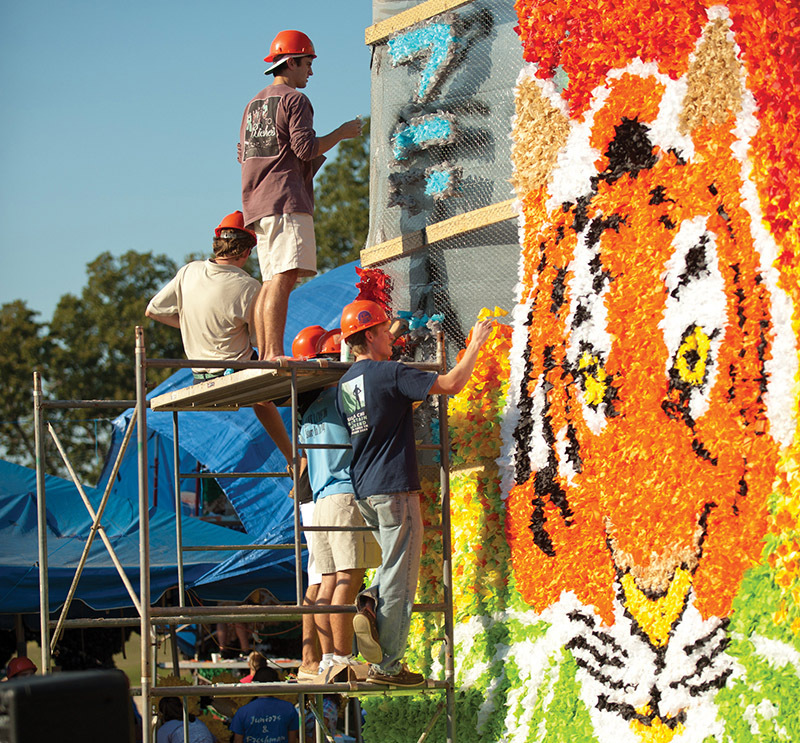 Students working on floats and the Habitat House on Bowman Field during Homecoming week. Come home to Clemson and celebrate with fellow alumni! Homecoming is a great opportunity to meet up with old friends and classmates and enjoy the fun and excitement all over campus. Check out alumni.clemson.edu/homecoming for details on various tailgates associated with clubs, groups and colleges. Legacy Day honors new inductees to the Fort Hill Legacy Society. Students celebrate the legacy of Thomas and Anna Clemson, and donors who left at least $1 million to Clemson in their estate have bronze leaves dedicated in their memory. Seniors celebrated their status this year with a week of events centered around the theme “The Clemson Bucket List.” Seniors had the opportunity to rub the rock, share lunch at the Esso Club, tour the carillon bells of Tillman, tour the indoor practice facility and dance the night away at a Senior Ball on the lawn of Littlejohn. 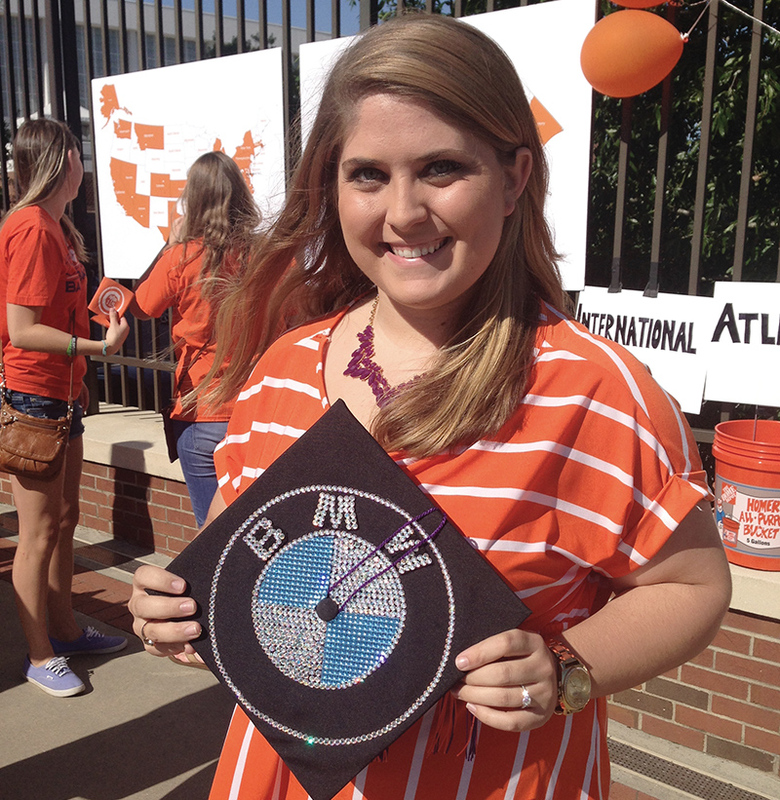 They also took the time to record their thoughts about what they would miss most about Clemson, pin their future location on a map of the country and display their decorated mortarboards. See more photos at clemson.world. 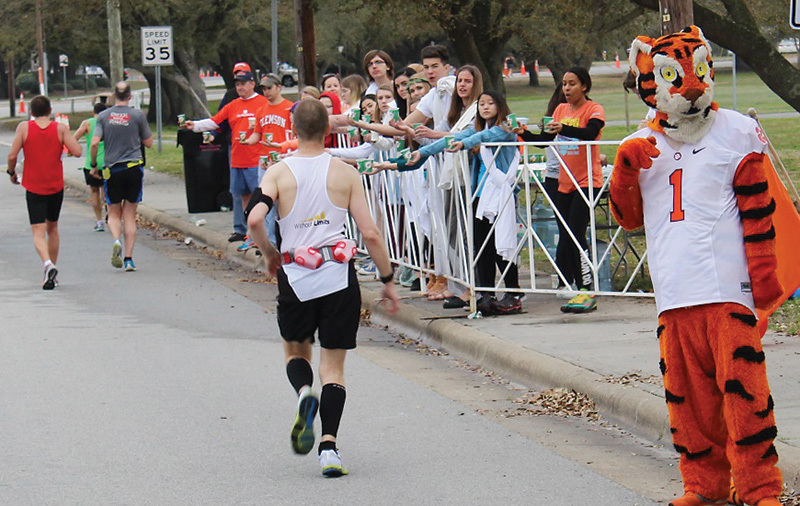 For the fifth year in a row, the Cape Fear Clemson Club sponsored a water/aid station for the Quintilles Wrightville Beach Marathon in March. This year, they were graced with the Tiger’s attendance at the weekend events! Referring to her as “one of the University’s most enthusiastic and dedicated champions,” the Alumni Association has named Mary Dalby Bradley an honorary alumna for her lifelong devotion and demonstrated loyalty. The Bradleys have become well known for hosting meetings of Clemson in the Lowcountry — a group that keeps alumni in the Charleston area in touch with one another and with the University — at their home on Johns Island, where they have built a “tavern” next to the main house that is decked out from top to bottom in Clemson paraphernalia. 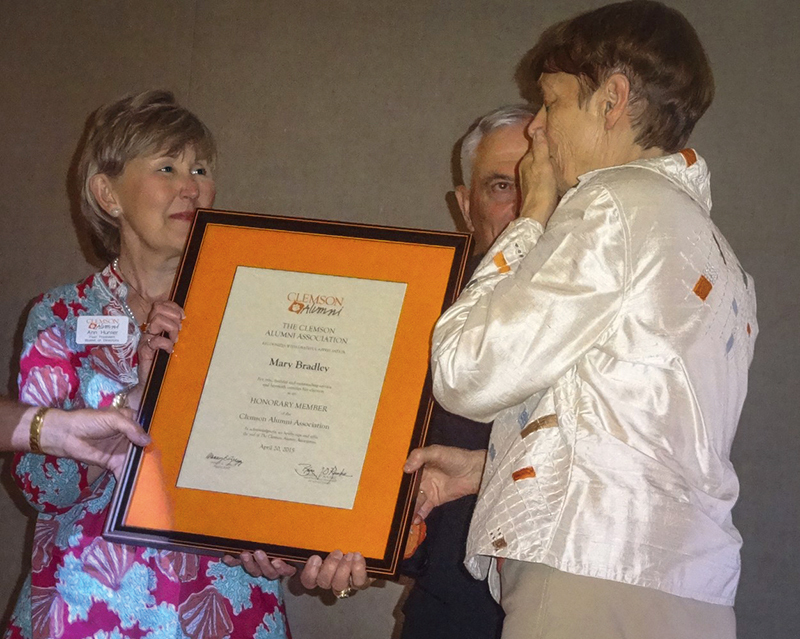 Barker noted that Bradley also has been joyful in her financial support of Clemson, making a gift with her husband that supports more than 4,000 students each year through the Creative Inquiry undergraduate research program. Fifty years after they walked the stage to receive their diplomas, nearly 100 alumni from the Class of 1965 presented the school a check for $1,227,872 to help future students do the same. The group gathered near the Class of 1965 sidewalk — a shady path that cuts under the lush oak trees of Fort Hill — to celebrate their Golden Tiger Reunion and present the check to President James P. Clements. Clements praised the group for their initiative and dedication. The Class of 1965 Scholarship Endowment was established in 1989. It made the class one of the first to establish a scholarship in conjunction with its 25th reunion. The class members’ goal was to get the endowment to at least $25,000 by their 25th reunion, and they far exceeded that goal with $43,000 by the time they gathered to celebrate. 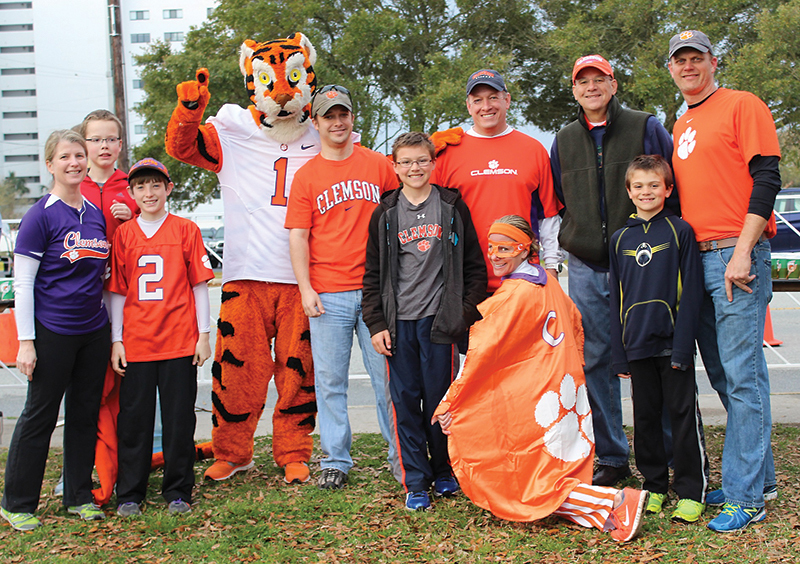 The endowment has been growing and regularly providing support for Clemson students ever since. Rising senior Kaci Bennett, a recipient of Class of 1965 scholarships three years in a row, took the podium to thank them for their generosity. Their endowment will do just that, said Clements. 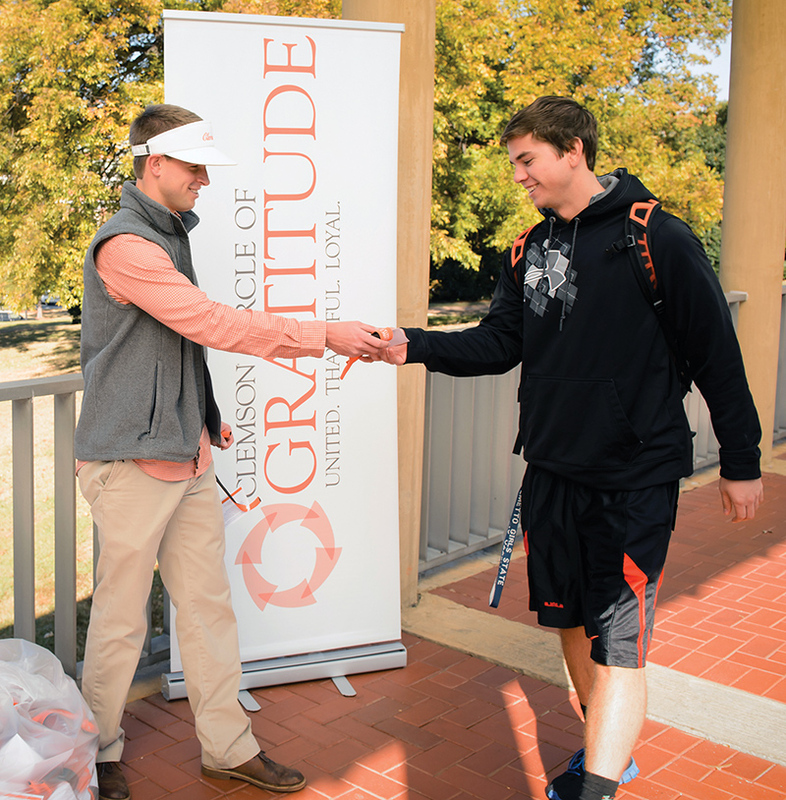 The contribution to the endowment is part of the Will to Lead for Clemson capital campaign to raise $1 billion to support Clemson students and faculty with scholarships, professorships, facilities, technology and enhanced opportunities for learning and research. Including the endowment, the class has given a total of $15,122,050 to Clemson initiatives. While the Class of ’65 was celebrating their 50th, alumni from classes ranging from 1939 to 1967 made it the largest reunion in 10 years. 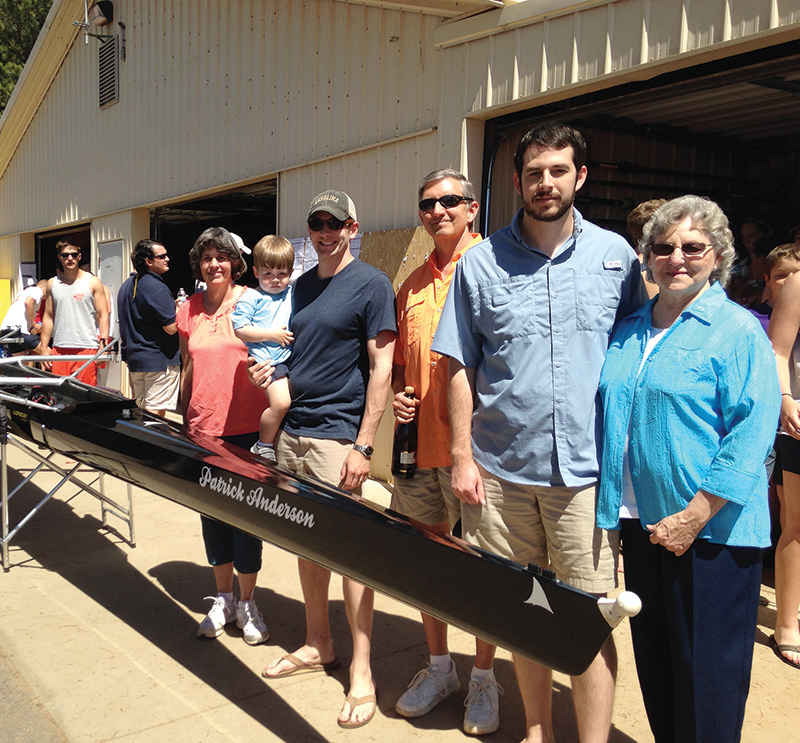 This spring, a new crew boat hit the water at Clemson, thanks to the generosity of the family and friends of the late Patrick Anderson ’07. Anderson, who passed away last summer, was a member of the rowing club, and family and friends contributed funds in his memory to purchase a new crew boat. The boat was christened the Patrick Anderson before it was used in a race against the University of Georgia. A ceramics and materials engineering major at Clemson, Anderson was employed by Corning in Wilmington, N.C., as the submarine fiber-products supervisor. He maintained an active lifestyle including running marathons, cross-country biking, triathlons and was an Ironman. 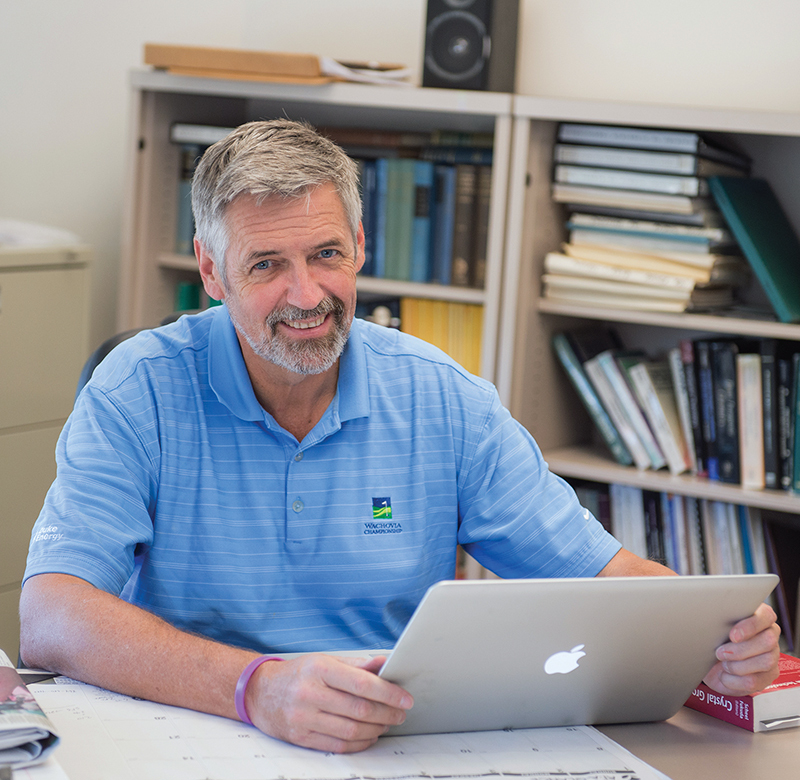 Each year the Alumni Association sponsors two faculty awards: the Alumni Master Teacher and the Alumni Award for Outstanding Achievements in Research. This year’s awards went to Associate Professor of Finance Jack G. Wolf as Alumni Master Teacher and chemistry professor Joseph Kolis for research. The Alumni Master Teacher Award for outstanding undergraduate classroom instruction is presented to the faculty member nominated by the student body and selected by the Student Alumni Council (SAC). The Alumni Award for Outstanding Achievement in Research is presented each May at the spring faculty meeting. 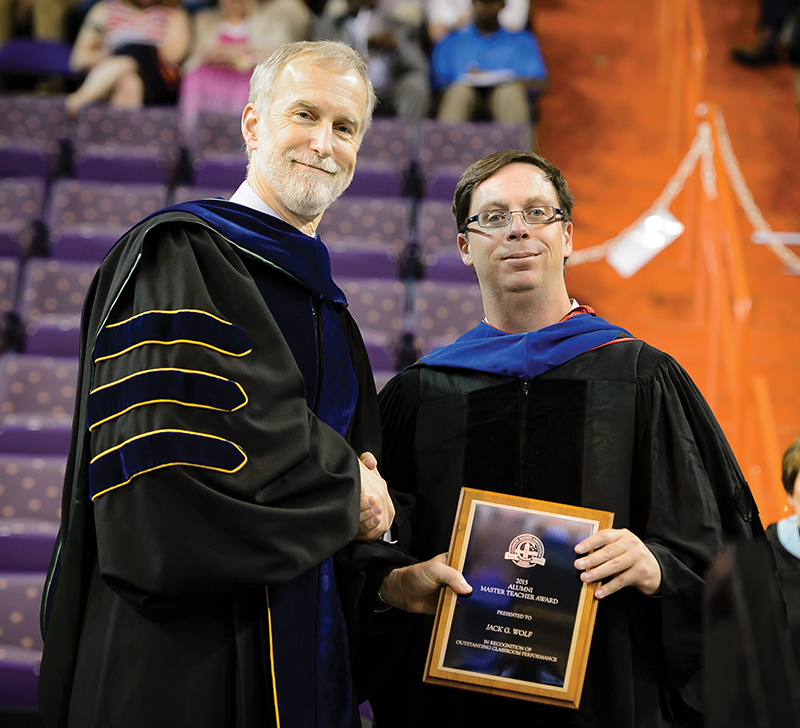 Wil Brasington, senior director of alumni relations, presented the award to Kolis, a professor of inorganic chemistry. Kolis’ group studies the synthesis and chemistry of novel inorganic compounds with unusual structures and properties. The group is particularly interested in chemistry under very unusual reaction conditions, such as with very high temperatures and pressures, or in exotic solvents.